After four months of filming, work on Sherlock Series Four has now officially wrapped. As such, thanks to the endless stream of photos that made their way online, we now have a good idea of what the latest trilogy of episodes will feature. 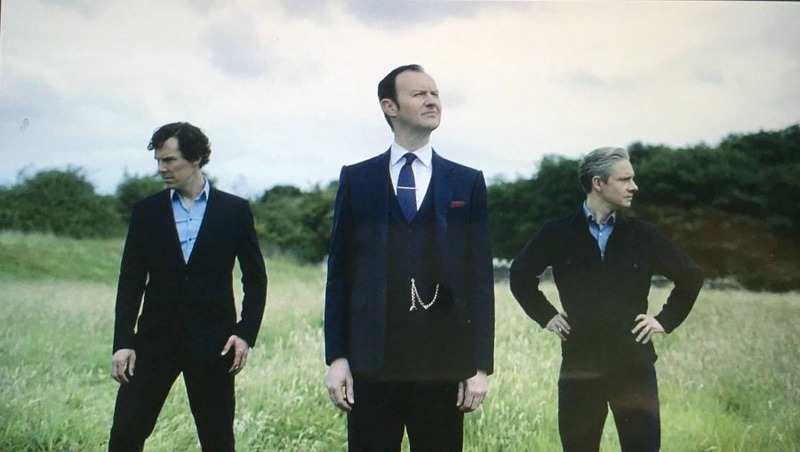 Setlock, as it’s called, is a controversial issue among fans (as we have discussed here). While some people like to steer clear of anything to do with this – which is fair enough – others love to get a taste of what’s coming up. After all, we’ve waited so long already! If this hasn’t satisfied you enough, you can find more images on Twitter under the hashtag #Setlock. Accounts that regularly tweet Setlock pictures include @SherlockSpam, @AnythingBatch and @Cumberbuddy. Many other fine Twitter accounts are also available.